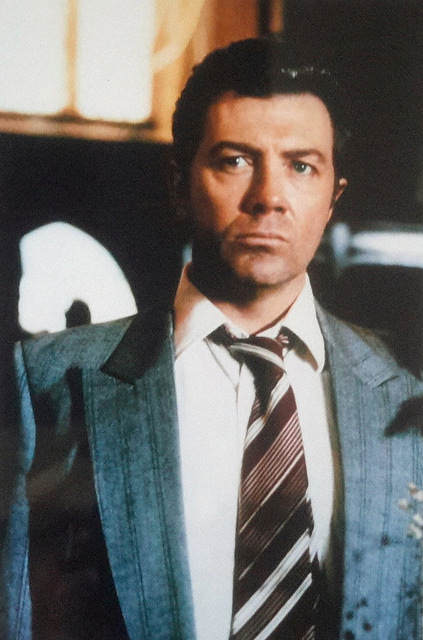 #393......"LEWIS COLLINS" - BODIE 3.7 . you'll never walk alone ! I love seeing pictures of an older Lew and he certainly hasn't lost anything at all, he still looks fabulous. me too, this is a picture from my own collection and an older Lewis is still a gorgeous Lewis though he is looking thunderous in this image. i think this shot of Lewis was taken around the time of him starring in the man who knew too little . This is a picture thati own and is from my collection. Yes he does look menacing but utterly gorgeous both at the same time.